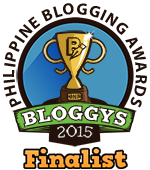 Who’s Joining the Blogapalooza 2014? Music lovers know what Lollapalooza is, it’s THE annual music festival that started in 1991 and has been the event to go to yearly. Well, for the bloggers here in the Philippines, the Blogapalooza is the much awaited event of the year, which is happening on September 20, 2014, 10am-9pm at the Convention Center Halls 1 & 2, SM Aura, Taguig. This will be the first time I’ll be attending this event and I can’t wait to meet fellow bloggers (especially the ones in the WAHM (Work at Home Moms) community. To date, close to 500 bloggers have already RSVP’d! I am also excited to see if there are some brands/business that I can collaborate or work with (especially anything TECH! 😉 ). They are still open for registration! If you are a blogger, sign up here. If you want to showcase your product/service at the event, you can sign up here. This year’s event is brought to you by When In Manila and Our Awesome Planet.